Another lame prompt. Oh well. I will give it a go. I think we will rely more and more on electronics: laptaps, phone, iPads, e-books, iPods, etc. There are sure to be electronic gadgets that we can’t even begin to imagine now. And the ones we have now will be easier to use and become more indispensable. 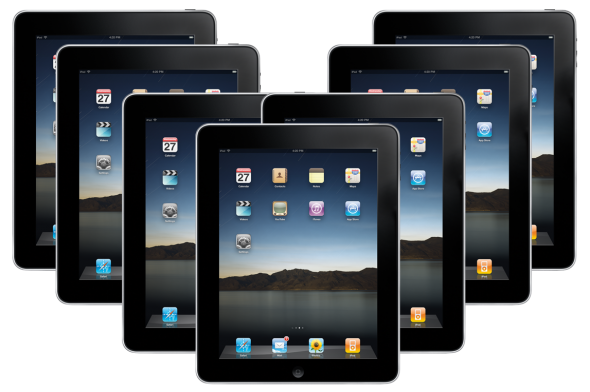 In fact, laptops may become obsolete with the advances in tablets such as iPad. Electronics will all be small and portable and even small children will use them with ease. Video games will become more and more realistic and used by more children and adults. Television sets and cable and satellites will become easier to use and more streamlined. No more bulking satellite dishes. As for cars, we will rely more on electric cars and hybrids. Hybrids will probably be phased out and replaced with electric cars as they become more feasible. We will also see advancements in space explorations. A new space shuttle will come on line and space exploration vehicles that can travel faster and be more accurate will explore the various planets. It’s possible that the US will finally realize the beauty of super rail travel because of the high cost of sir travel and the toll on our roads and build super trains that can transport more people quickly and efficiently. At least I hope so. You can view this also on my old blog My Life, Such As It Is. insurance financial jobs: We stumbled over here coming from a different web address and thought I might as well check things out. I like what I see so now i'm following you.